Is a group exercise program with a difference. This program is designed for those over the age of 60 or with chronic medical conditions. 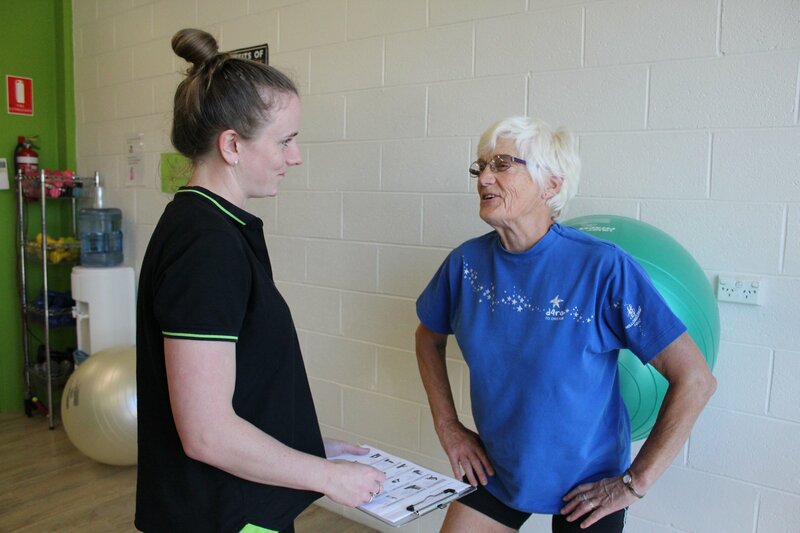 During the hour long exercise class participants work their way through their own individually prescribed exercise program under the guidance of a skilled personal trainer. Prior to commencement of the exercise classes, participants have a one on one session with a Physiotherapist or Exercise Physiologist. During this assessment strengths and weaknesses are discussed and the participant’s goals for exercise are determined. From this assessment the Health Professional designs an individualised exercise program for the participant. Participants are encouraged to get a review of their program every 8-10weeks to ensure it is still relevant, challenging and enjoyable.